Communication can often be an afterthought. But if you frame your message correctly, it’s easier to get the results you want. Every “urgent” email you send requires a phone call or face-to-face visit to make sure it gets read—much less responded to. When you’re speaking in a meeting, you look up to find everyone in the audience checking their watches—or their email. You’re sitting in your boss’s office for a one-on-one conversation, and he asks you—repeatedly—to cut to the bottom line and just tell him exactly what you need. If you nodded your head at any of these statements, you may have trouble getting your colleagues’ attention. You need to learn to frame your message—to make clear what you need your colleagues to do, when, and perhaps most important, why. When you position your message correctly, people know what the problem is, why they should care, and what they need to do about it. And it doesn’t matter if you’re sending an email, delivering a presentation, or talking one-on-one with your boss, the steps are the same. Anyone who’s ever read a news article is familiar with the concept of not burying the lede. In other words, don’t build to the punch line—tell your audience right away why you’re there, what you need and, most important, why it matters to them. That advice goes double for a live audience. People are busy, so provide the most important information up front, and don’t forget to ask for what you need. Elliott Bell, director of marketing for The Muse, points out that the Gettysburg Address was 271 words long—yet he received an email on a company policy change regarding coffee and tea selection that was 350. Is there a clear, easy-to-understand point to this email? Is there anything I can take out that doesn’t add to the main point? But length is only one part of keeping your message simple and easy to understand—clear, understandable language is the other. Remember that while you may know what you mean by “ECM,” others may not. To avoid this problem, put yourself in your audience’s shoes to identify any acronyms, jargon or terms you should define or eliminate. Don’t just end your meeting or close your email without telling your audience what you need from them. A salesperson knows this as “ABC” or “Always Be Closing,” a popular acronym from the movie Glengarry Glen Ross. When you’re always closing, you’re aiming your conversations, emails and phone calls toward a decision. Even if you’re not a salesperson, to get the results you want, you need to have a clear goal and outcome, or everyone’s time will be wasted. So be sure to let your audience know what the next step is. Building communication skills is important for your career development. It comes into play when your boss is considering your ideas, when higher-ups are choosing people to participate for projects, and when choosing people for career development opportunities like speaking at conferences. It helps you build respect with your colleagues, your team and your organization’s leadership. One way to get that respect is by communicating clearly and asking for what you need. When you do that, you’ll be amazed at the results! You may also be interested in Effective Communication Through Learning Behavior, Communication in the Information Overload Age, or 3 Easy Tips for Better Communication. 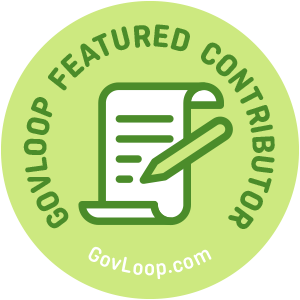 Melissa Henley is a GovLoop Featured Contributor. She is Director of Customer Experience at Laserfiche, an enterprise software company that has served the public and private sectors for over 30 years. 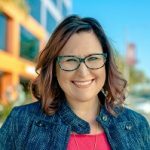 Customers are at the heart of all Melissa does, and her passion is around connecting people to content that can have a genuinely positive impact on their lives. Melissa brings over 20 years of marketing experience across multiple industries, including government, finance, and higher education. Read her posts here.